At midnight tonight, local time, millions of South Koreans will tune their televisions or radios into Manchester United kicking off against Chelsea, none of them sure if their main man will even feature. For this is hero worship, Asian-style, and the man they all adore is Park Ji-sung, the most successful footballer the world’s largest continent has produced. It is also music to the ears of United’s money men because, increasingly, even the most far-flung fans are translating to cash. What does Park life sound like at Old Trafford? Ker-ching. Sales of United merchandise in Korea, including but not exclusively Park-emblazoned shirts, is now a ‘multi-million pound’ earner each year, say the club. Just over a million Koreans have a United-branded credit or debit card, many showing Park’s face. United earn an undisclosed sum from each. United have played lucrative pre-season matches in South Korea’s capital, Seoul, twice since Park signed from PSV Eindhoven in 2005, during Asian tours in 2007 and 2009. The income from those sell-out games was ‘multi-million’. Audited data shows that 40m South Koreans in total watch United games on TV each season, or roughly one million people per game. 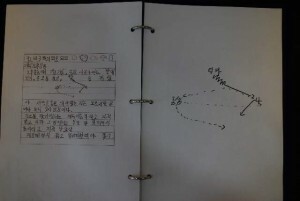 The club have a Korean language website that attracts four million users annually. That platform is seen as hugely important to some of United’s biggest sponsors and partners, including Audi, Aon and Nike, to deliver their pitches in a language and style that works locally. And there are official South Korean United restaurants in Seoul and Daegu. Tot up the income from shirts and financial services, from the tours and cafes and sponsor-related income derived from the website, not to mention an indefinable sum from Premier League overseas TV rights that might be attributed to United’s lure in Korea, and it is many millions per year. If Park is not quite the man who pays his own way – because, United argue with justification, they would be popular in Korea in any case, and that their signing him helped send his star into orbit – then he certainly keeps the bank manager happy. According to two global surveys commissioned by United, they have more than 300m fans around the world, and claim 27m in South Korea alone, an eye-popping figure when the entire population is 49m people. Can this really be true? And what do they mean by ‘fan’? An entirely unscientific and anecdotal study across several South Korea cities earlier this month suggests United’s fortunes are followed by a huge chunk of the country – and in no small part because of Park. In Suwon, the city where Park grew up and where the national football museum (left) has its own Park Ji-Sung room, I met Hyoshin Park, a fan in his twenties. The reaction is the same everywhere. Not a single person was unaware of Park and that he played for United. To put his fame across Asia into some perspective, Gillette’s famous ‘trio of stars’ campaign on the continent didn’t feature Tiger Woods, Roger Federer and Thierry Henry as it did in many other parts of the globe but Woods, Federer and Park. 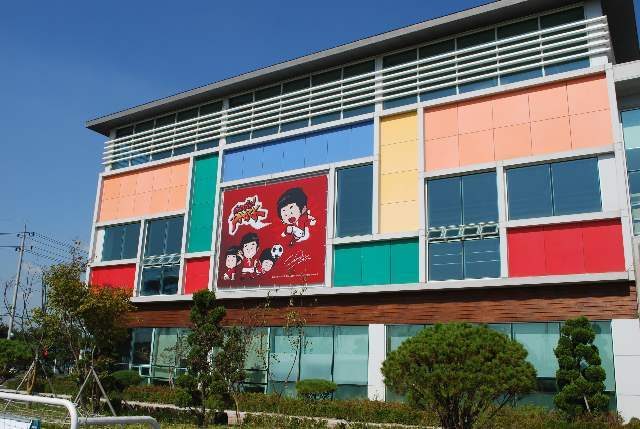 There is a Park Ji-Sung Street in Suwon (right) and Park has his own charitable JS Foundation HQ nearby, based at his own football academy, which has its own Park museum, and where 500 children a week go to play on grass pitches. 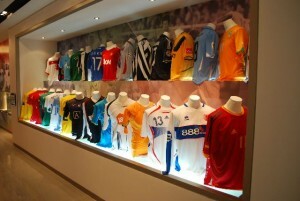 His own museum contains a wide collection of shirts belonging to stars he has faced for club and country, and medals and other memorabilia from his club career, and shirts and boots worn at three World Cups with South Korea – and even a couple of pairs of boots belonging to his United team-mates Patrice Evra (his closest mate at United) and Rio Ferdinand. 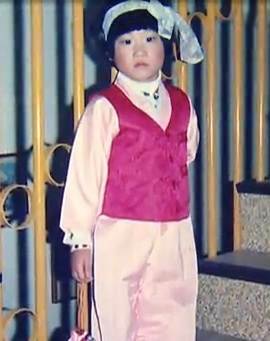 Park himself learned to play football on hard sandy surfaces, which was the norm as he grew up. Football in Korea has really only shot to mass popularity since Korea co-hosted the 2002 World Cup, and with Park in the national team, reached the semi-finals. 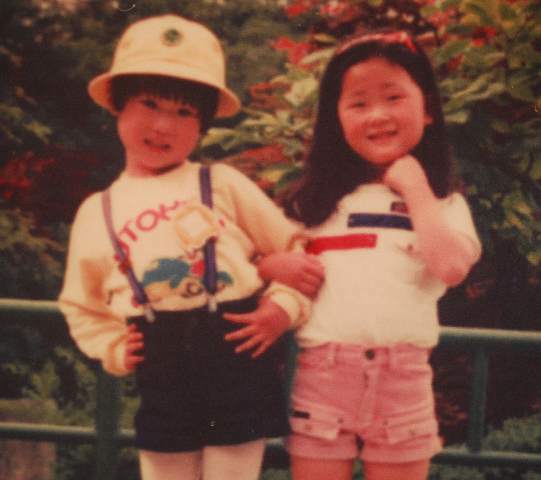 The only son of Myung-Ja and father Sung-Jong caused his parents huge concerns as a frail youngster, so the family turned to a traditional Korean menu to help him grow and increase his strength – boiled frogs, antlers and deer blood. ‘It smelled like intestines, as if deadly and undrinkable,’ Park Sung-Jong recalled in a Korean TV documentary about his son (available via YouTube in five parts, all available below). Park Ji-sung himself added that he was unaware at the time what he was consuming. His desire was always obvious. Pages of his boyhood diaries (pictured below) are on display at both the national football museum and in his own museum. 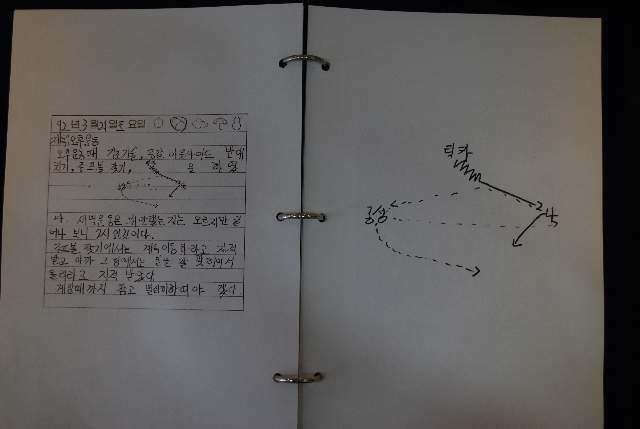 ‘In afternoon exercise at school, we learned about offside trap strategy,’ says one entry, accompanied by a doodle. He wrote about being captain of his school team – and Captain Park is another of his nicknames, and comes with its own highly marketable cartoon image. He wrote about being displeased with his efforts in PE lessons. ‘I stayed and did more training alone today, without a coach,’ says one entry. Park Sung-jong, like his son, is known in Korea for being humble and unaffected by fame. He also remains amazed at the attention not just in his own country but everywhere. ‘When I travel to other countries, many people want to take pictures of me and request my signature when they know I am the father of Ji-sung,’ he says. Hwang Jae-Lee, from the JS Foundation, stresses that Park’s academy is primarily to give children access to sport, not to develop saleable players. ‘Ji-Sung wouldn’t want that [to hothouse youngsters]. He just wants them to enjoy a game he enjoyed, except with better facilities. 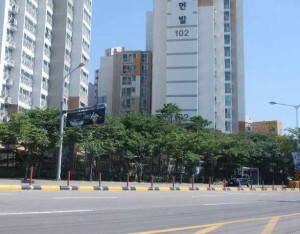 United insist their popularity in Korea is long-standing and not reliant on Park. ‘That said, Ji is a fantastic player in terms of how he conducts himself on and off the pitch and our sponsors and fans are hugely appreciative of what he does,’ says a spokesman. ‘Our family of fans in Korea numbers over 27 million. This translates into nearly 40 million viewers a year on TV, with estimates of the same again on online viewing, a multi-million pound merchandise business, a credit card partnership exceeding a million cards with Shinhan Bank, food and beverage outlets, and a Korean website that boasts four million visitors per year. ‘However this is by no means atypical, if for example you compare that to Indonesia, where we have 28m fans, more than 800m ‘views’ each season on TV, two million mobile customers, and food and beverage outlets. The boost that Asia’s first Champions League winner gives is undeniable though when you visit his home country and realise he is a regional superstar. Such is Park life – that and watching games in your pyjamas. This is an extended, interactive version of a feature that first appeared this morning, Sunday 18 September, in the sports pages of the Mail on Sunday (see scan below, copy LINKED HERE).